Hi5 RECORDING IS A STUDIO IN PHILADELPHIA BUILT FOR CREATIVE MUSIC PROJECTS. 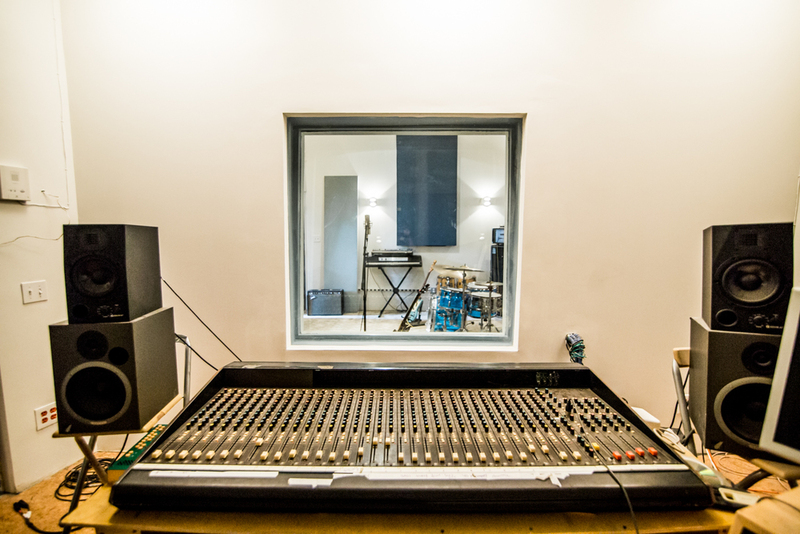 FEATURING MULTIPLE GREAT-SOUNDING ROOMS, ANALOG AND DIGITAL RECORDING GEAR, CUSTOM OUTBOARD OPTIONS AND PLENTY OF ROOM TO PLAY, THIS COULD BE THE PERFECT SPOT FOR YOUR NEXT PROJECT. THE Hi5 RECORDING STUDIO WAS BUILT IN 2013 BY MUSICIAN & ENGINEER BEN RIESMAN. FEATURING VINTAGE GEAR, ANALOG TAPE MACHINES, AND STATE OF THE ART DIGITAL WORKSTATIONS, THE STUDIO IS A VERSATILE ENVIRONMENT THAT ENCOURAGES CREATIVITY AND COLLABORATION. BOASTING HIGH CEILINGS AND A CUSTOM DESIGN FROM-THE-GROUND UP, THE STUDIO WAS CRAFTED ACCORDING TO WELL-RESEARCHED PRINCIPLES OF ROOM SHAPE, MAXIMUM ISOLATION, AND ACOUSTIC REFLECTION TREATMENT. 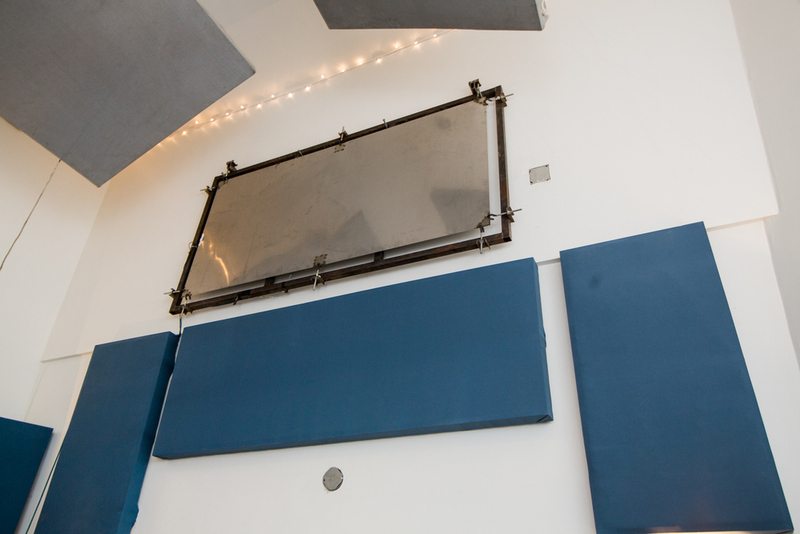 THERE ARE 3 RECORDING ROOMS AT THE Hi5: A TREATED LIVE ROOM WITH 17’ SLANTED CEILINGS, A SMALLER ISOLATION ROOM OR AMP ROOM WITH A HIGHLY “DEADENED” SOUND, AND A SECOND LIVE ROOM WITH 20’ CEILINGS AND A LOT OF NATURAL REVERB. THE Hi5 STUDIO HAS 2 HOUSE DRUM KITS, A WURLITZER ELECTRIC PIANO, A HAMMOND B3 ORGAN WITH LESLIE, A STEINWAY BABY GRAND PIANO, VINTAGE FENDER AMPS AND GUITARS, SEQUENTIAL CIRCUITS AND ARP ANALOG SYNTHESIZERS, AND PLENTY OF OTHER FUN STUFF INCLUDING A ROLAND SPACE ECHO TAPE DELAY AND A BEAUTIFUL PLATE REVERB UNIT HUNG FROM THE CEILING (MODELED AFTER THE CLASSIC EMT140). THIS IS A CREATIVE ENVIRONMENT, FUNCTIONAL, COMFORTABLE AND VERY CONDUCIVE TO FALLING INTO THE FLOW OF A COLLABORATIVE MUSICAL PROJECT. PENTAGONAL-SHAPED TREATED, BALANCED AND FULLY ISOLATED ROOM IDEAL FOR MIXING. FEATURES: MULTI-TRACK ANALOG AND DIGITAL RECORDING. CUSTOM OUTBOARD OPTIONS INCLUDING REAL CHAMBER AND PLATE REVERBS. ANALOG 32-CHANNEL BOARD. FULL SET OF DIGITAL PLUG-INS. CLICK HERE FOR FULL GEAR LIST. A LARGE, IRREGULAR SPACE ACOUSTICALLY DESIGNED FOR HUGE, NATURALLY REFLECTIVE WET ACOUSTICS. SOMETIMES STRINGS, HORNS OR VOCALS NEED A PLACE TO BREATHE OR SHOUT. WHEN THEY DO, WE DO THEM HERE. THIS ROOM FEATURES A STEINWAY BABY GRAND PIANO. EACH SITE AT HI5 IS CONNECTED TO THE CONTROL ROOM. DURING THE RENOVATION & CONSTRUCTION PROCESS, WE LEFT MUCH OF THE ORIGINAL MATERIALS IN PLACE HERE AT THE MAAS BUILDING. BRICK, CEMENT, STEEL AND MODERN ACOUSTICAL TREATMENTS ALL MIX FOR SOMETHING TRULY DISTINCT. YOU CAN HEAR PHILADELPHIA'S OLD SOULS SCREAMING OUT FROM THE WALLS. THE 5TH SIDE IS ALSO USED FOR A MYRIAD OF EVENTS HERE AT THE MAAS BUILDING & SERVES AS A VENUE FOR LIVE PERFORMANCES FROM ALL WALKS OF LIFE. EVENTS ARE SOMETIMES PUBLIC, SOMETIMES PRIVATE, SOMETIMES FOR FILMING AND RECORDING, SOMETIMES FOR DINNER AND DANCING. IT'S AN AMAZING SPACE FOR ALL THOSE THINGS, BUT WE LIKE IT BEST FOR RECORDING. FOR A SAMPLE OF WHAT THIS ROOM CAN SOUND LIKE, CHECK OUT ANDREW DAVIS'S NIGHT VISIONS (PIANO).